Consumer? Please view the 'Where to Buy' links to the right to find a retail store close to you. Retailer? Please login to view pricing, or apply for your Retailer Account when you check out. You must be logged in to purchase this item. 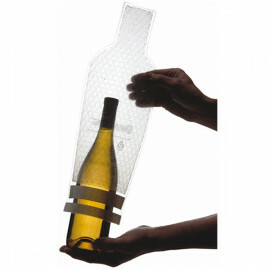 Introducing the new Reusable WineSkin! 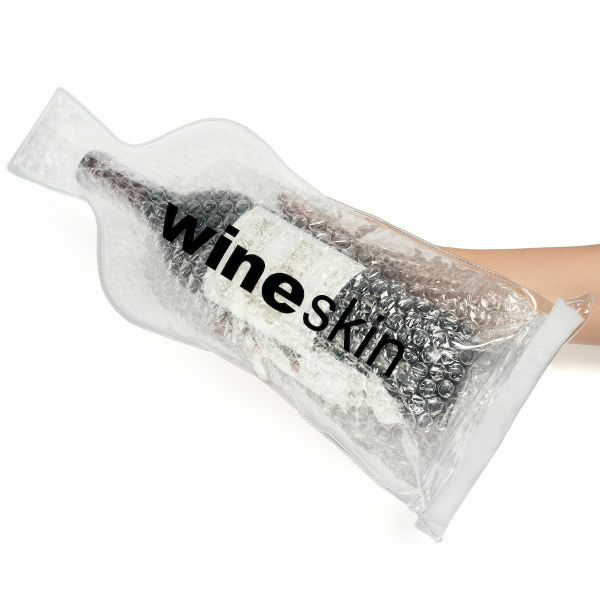 The leak-proof way to transport wine, WineSkins are stylish, secure and confidence-inspiring. 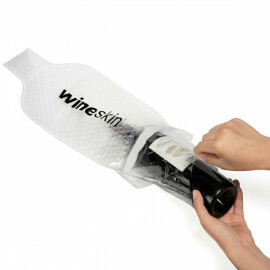 Designed to accommodate virtually every 750ml wine or fortified spirit bottle design available in the contemporary market, WineSkin is the solution for wineries, fortified spirit manufacturers, tasting rooms, wholesalers, distributors, and retailers looking to add value to each bottle purchase. Whether it's a value-add to the wholesale transaction or an upsell at the retail point of purchase, WineSkin brings a new level of security to the transport and shipment of 750ml bottles. Reusable WineSkins are available in packs of 50 or 100. Also available in single-use WineSkin option.